For we’ll fight, yes, we’ll fight, and with all our might, For the glory of Syracuse. The month of March signifies the end of winter, and the hope that Spring brings. It reintroduces the world to sunlight after 6 pm, walking around in a single layer of clothing, and the occasional bunny in your backyard. While some people look forward to eating lamb on Easter Sunday or drinking their weight in green beer on St. Patrick’s Day, there is only one thing on the minds of people from Syracuse during the month of March: Basketball. The 2018 NCAA Tournament is set to begin, and features Syracuse playing Arizona State in a First Four Midwest Region game at 9:10 pm on March 14 in Dayton, Ohio. There you will hear buzzers buzzing, fans cheering, and the infamous Syracuse fight song ‘Down the Field’ played by the Sour Sitrus Society. 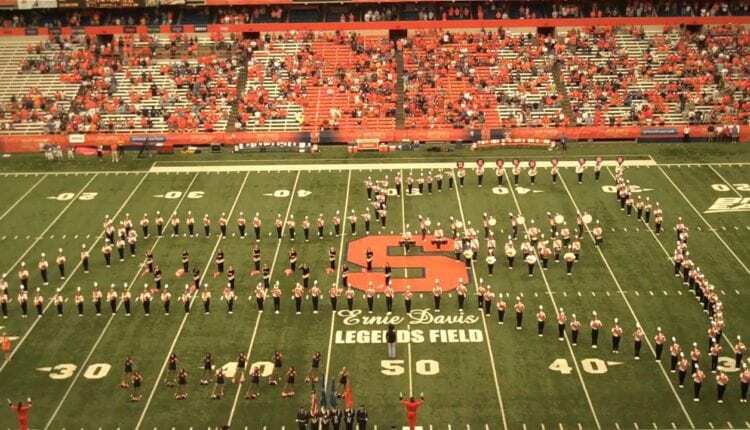 Originally written in 1914 by Ralph Murphy (Class of 1916) and composed by Harold Lewis (Class of 1915), Syracuse University’s fight song has stood the test of time.It’s used as a device to pump up the crowd and draw support for the team, and something every Syracuse University student and alumni has etched in their brains for life. 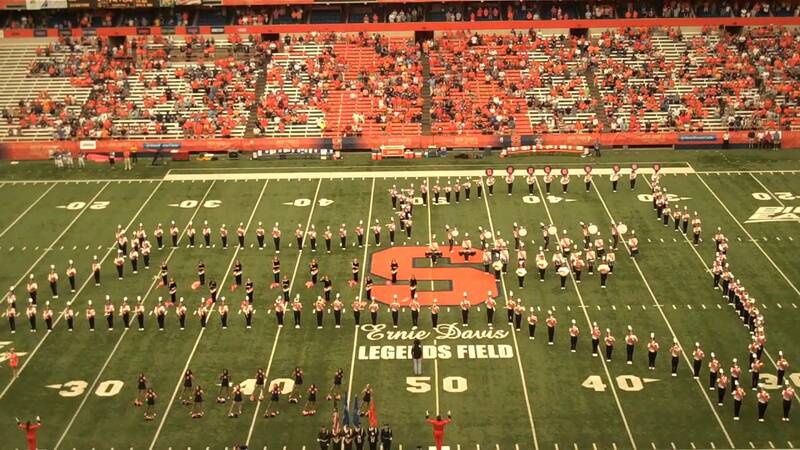 Katie Canete, Drum Major of the Syracuse University Marching Band (SUMB) in 2017, was one of three who conducted/lead the band through every rehearsal and performance. The marching band consists of approximately 200 members, and is one of the oldest collegiate bands in the nation. The SUMB’s home turf is the Carrier Dome, a domed sports stadium located on Syracuse University’s campus in the University Hill neighborhood. It holds nearly 50,000 people for football games, 35,446 for basketball games, and 56,250 for concerts. Additionally, the SUMB can be see playing local parades and other assorted performances throughout the year. As March Madness begins, you can be sure to hear the Rah! Rah! Rah’s of ‘Down the Field’ when Syracuse scores some big points. Just see those backs hit the line and go thro’.